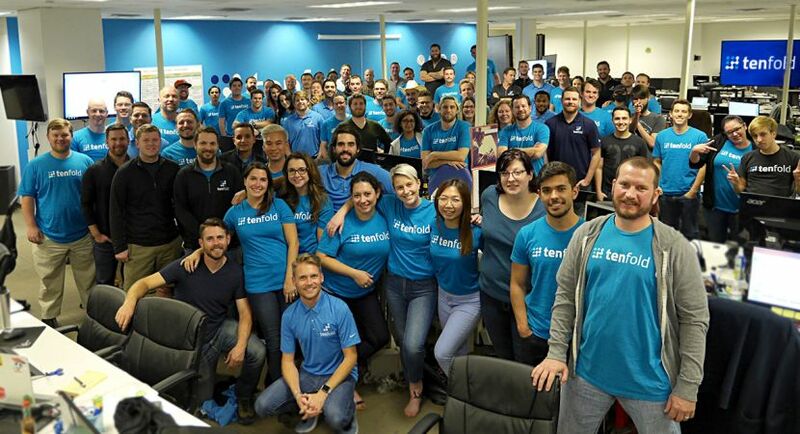 Tenfold is a high-growth startup with funding from Andreessen Horowitz. Our platform connects company's phone systems with CRMs, ERPs, Marketing systems and other systems of record and provides users with a unified view of the data. Built for enterprises and high-growth companies, Tenfold helps companies increase revenue and build better relationships with their customers by allowing them to measure, analyze and improve every aspect of the customer journey. The old-style world of single-transaction relationships and hard closing is gone. The modern sales approach is a world where prospects are educated and revenue growth comes from the long-term customer lifecycle instead of a one-call close. Instead of just closing sales, at Tenfold we believe in helping companies open customer relationships that will continue to grow and create value over time, while at the same time enabling them to retain these relationships by providing an exceptional customer experience. Evangelize, support, monitor and manage all aspects of Product Management at Tenfold. Work with the CEO, Chief Revenue Officer, Chief Customer Officer, VP of UX and other stakeholders to define a product roadmap and product vision. Own the product roadmap. Ensure engineering is performing at maximum development efficiency. Remove any roadblocks, implement/build development tools, or invent creative ways to keep the trains running on time. Translate the product roadmap into epics and epics into sprints. Facilitate sprint planning, retrospectives, and planning poker sessions. Wear the agile leader hat at Tenfold. Work with the Customer Success team and customers to receive feedback on new features and releases. Monitor customer behavior after release to measure the success of the release. Develops, implements, and tracks metrics about engineering productivity and progress of product roadmap. Report performance metrics against goals at weekly meetings. Evangelize software development best practices throughout the company. Develop training materials for onboarding new software engineers that explains Tenfold’s development methodology. Builder mindset – comfortable being the first-in Product Manager in the company. No maintainers. Unrelenting pit of stomach pain when working with anyone but top performers. Felt so bad that you will not tolerate mediocre performance. Learning mindset. Ability to self-correct and learn from mistakes.